April definitely did not go out like a lamb this year. You probably didn’t put away your sweater until the end of the month, when temperatures finally hit 80 degrees. Here at the Chicago Botanic Garden, we recorded our coldest April ever since we started recording temperatures in 1982. Our average high temperature in April was 48.1, which is 8.7 degrees below normal. What did the cold weather mean for our plants? Luckily, nothing devastating. Early bloomers, like winter aconite, crocus, and snowdrops, weren’t affected, and many bloomed as expected. Those species can also tolerate the colder temperatures we saw in April. If we had seen a few days of high temperatures and some of the more delicate flowers had opened, followed by a subsequent freeze, that would most likely have damaged plants. 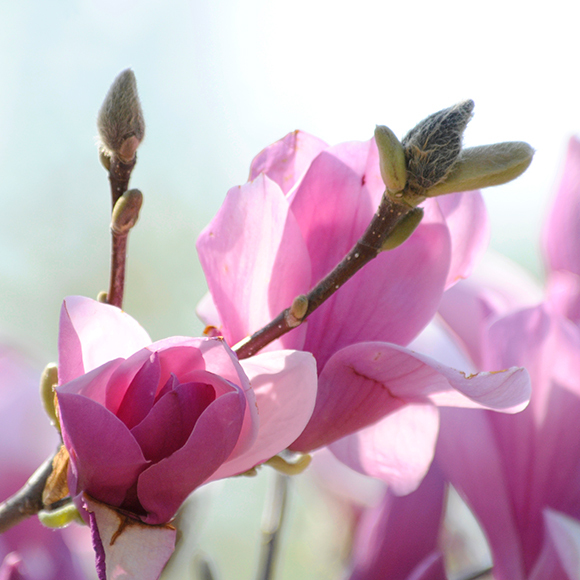 Magnolias: Usually, these start to bloom during the first two weeks of April. 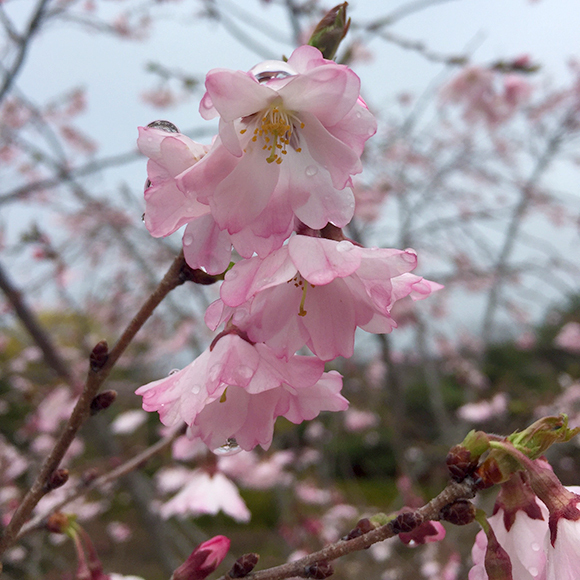 This year, we didn’t see flowers start to open until the first week of May. Cherries: Mid-April is prime time for cherries here. They have their own festival in Washington D.C. and this year reached their peak there in the first week of April. Our cherries waited until early May. 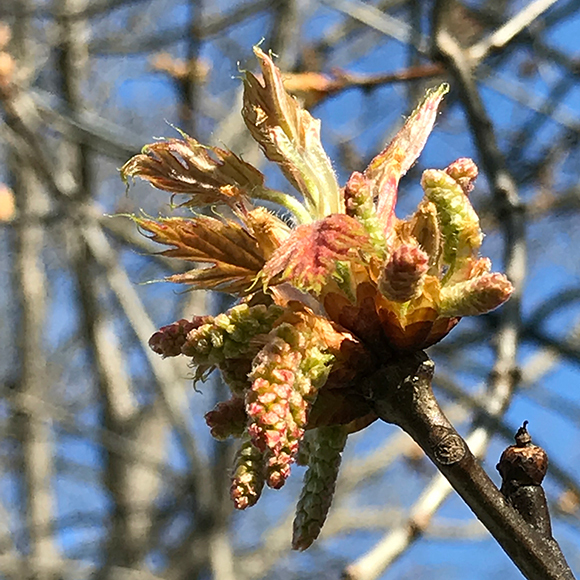 Native trees: McDonald Woods is home to many native trees, including oaks and maples, which usually start to leaf between April 8-15. But this year leaves didn’t start to appear until May as well. 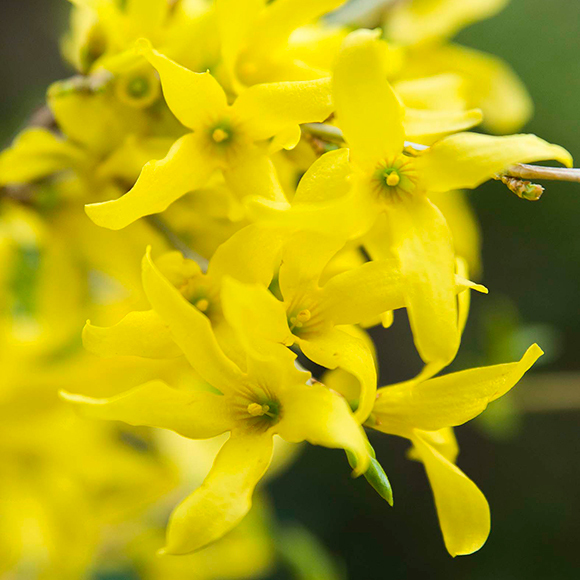 Forsythia: Since the Garden began to keep track of first blooms on our grounds more than 25 years ago, this is the latest we’ve ever seen forsythia bloom. Late bloomers have now all started to exit their winter dormancy. Their tardiness does not mean other species will continue to be late. Once temperatures remain above freezing and the soil warms up, which seems to have begun, most species will do their thing at their expected time. It’s safe to—finally—say spring has arrived. 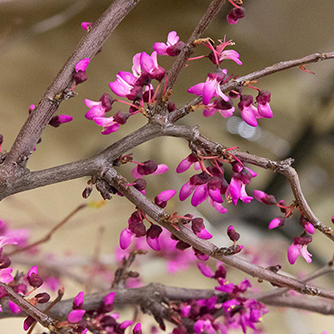 Check out the Garden’s What’s in Bloom Highlights every Monday and Thursday for new selections of plants that are putting on a beautiful show, and where to find them.